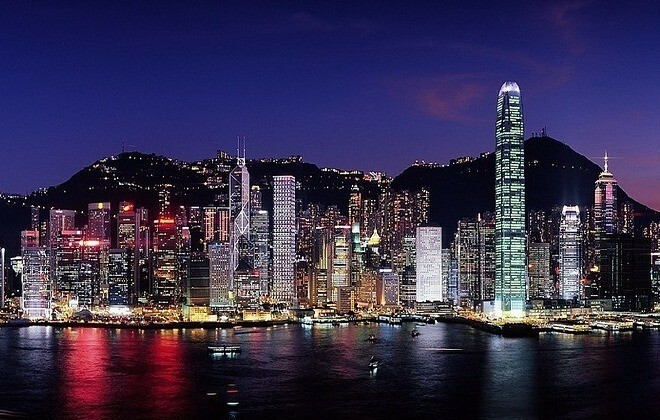 Hong Kong is one of the great cities of the world – we love it! It’s full of an energy and vibrancy that few others can match and did I mention the food?! So good! The most stressful part about a Hong Kong visit for us, though, is finding accommodation! 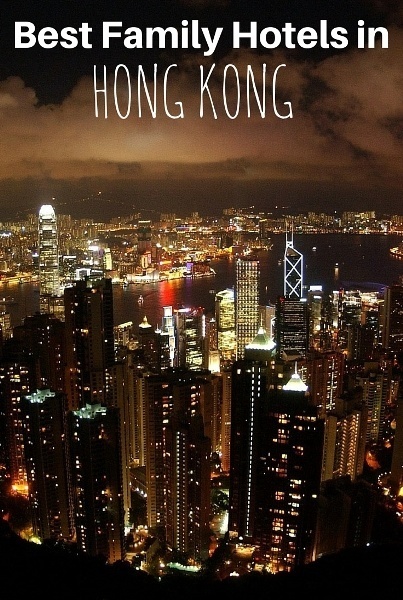 Hong Kong is not a city known for good value accommodation and it can be daunting looking for something for a family. 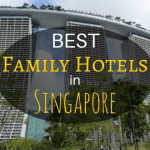 I hope the following list of the top ten family hotels in Hong Kong, as well as some other options, can help you find the best accommodation for your family. 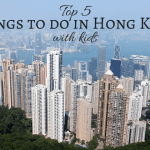 If you are heading to Hong Kong, you may also be interested in this article about the top things to do in Hong Kong with kids. The Holiday Inn Golden Mile is the first of the top hotel accommodation Hong Kong has to offer. This hotel is located in Tsim Sha Tsui, with access to the MTR station, views over Victoria Harbour and within walking distance to Star Ferry. The hotel has impressive perks that you wouldn’t expect, including free smartphone for your convenience, and umbrellas to protect you in the heat. The hotel has a large rooftop swimming pool, with flotation equipment available for the kids. There is also a well-equipped fitness center, dining options onsite and childcare services available. This accommodation in Hong Kong is more than suitable for families, with rooms allowing two children up to 18 years old to stay in existing beds for free, with additional beds charged at a fee. The Holiday Inn Golden Mile offers great value Hong Kong accommodation and is great place to stay and enjoy the heart of Hong Kong. The Langham is another Hong Kong family hotel located perfectly in Tsim Sam Tsiu where you will benefit from nearby shopping, restaurants, the MTR station and the ferry. This hotel strives to provide high-class rooms and services, making this one of the standout family hotels in Hong Kong, such as having a pillow menu available for the best nights sleep. There is also a spa with massage services, a Michelin-star restaurant and a rooftop swimming pool for the family to enjoy in Hong Kong’s heat. The rooms of this family hotel in Hong Kong are modern and allow a child under 12 years old to stay free in in your bed or a crib. For those families that wish to stay in absolute comfort, the Ritz Carlton is one of top family hotels Hong Kong has to offer. There are many things that make this one of the best family friendly hotels in Hong Kong. The kids will enjoy it from the beginning, with Ritz Kids being treated as VIP’s with individualized essentials and a night safari. Not only is there a Michelin Star restaurant, the hotel also houses the highest bar in the world. Rooms have bathtubs and flat screen TVs with DVD players for nights in with the family, and children can either stay in your bed, their crib, or request extra bedding. This Hong Kong family hotel will guarantee a fantastic experience. For some, the best family hotel in Hong Kong means being close to Disneyland, and you really can’t beat the Disney’s Hollywood Hotel. 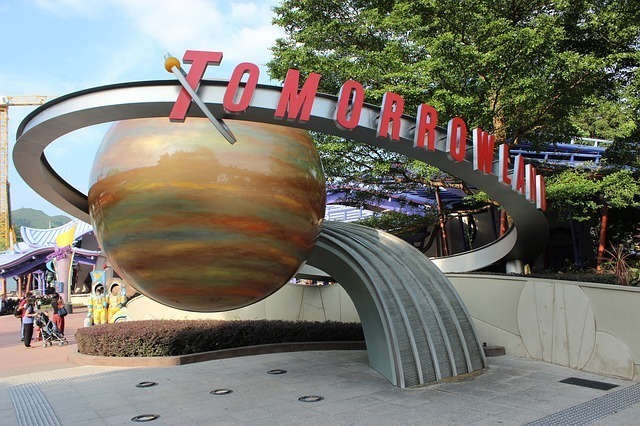 Being located near Disneyland, the hotel is not central but does have easy access via the MRT Disneyland station. The hotel includes an outdoor swimming pool, which is perfect for both kids and adults with a poolside bar. There is also an amazing buffet in the Chef Mickey restaurant. The Disney family hotel in Hong Kong offers comfortable rooms with twin double beds. The hotel also offers a free shuttle to the theme park. Disney’s Hollywood Hotel is easily the best hotel in Hong Kong for families that want easy access Disneyland. Hotel Jen offers Hong Kong family accommodation on Hong Kong Island, easily accessible to other areas in Hong Kong with HKU MTR station right outside. The hotel also has a fantastic rooftop pool. This hotel offers well-priced Hong Kong accommodation for families, with deluxe rooms allowing for an extra person, and children to stay free in your bed or their crib. A babysitting service will also give you your freedom to roam. The hotel houses the Bib Gourmand restaurant and café, both of which offer some fabulous meals and kids under 6 eat breakfast for free with older kids 50% off. Hotel Jen has some of the best-priced family accommodation Hong Kong has to offer. The Island Pacific Hotel is one of the best hotels in Hong Kong for families as it offers both great value and a great location, being within a 5 minute walk to the nearby MTR station and with a free shuttle to the city center. The staff at this hotel are an absolute standout and very friendly with children. All conveniences are within reach for your family. The hotel offers smaller rooms than other Hong Kong family hotels, but these rooms are comfortable and allow children in a bed or crib for free. The Dorsett Mongkok hotel accommodation in Hong Kong is another great value hotel, popular with families. The hotel is positioned close to Olympic MTR station for easy access. There is a 24 hour fitness center and the hotel offers a beautiful buffet breakfast that the whole family will enjoy. The Dorsett Mongkok is one of the best family hotels in Hong Kong due to its offering of family and adjoining rooms. The Dorsett Wanchai is also a good choice. It offers a different experience for families, being located adjacent to Happy Valley Racecourse. The hotel is a short walk to the nearest MTR station and has a free shuttle to some nearby attractions. This hotel has so many room options for families, including quadruple rooms. The rooms are modern and comfortable, and the kids will be kept happy, being provided with child slippers, gowns, teddy bears and snack packs. There’s also a fabulous kids suite with toys. 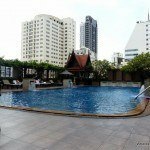 There is so much offered by the Dorsett Wanchai for such a well-priced hotel. The Novotel, being positioned on Nathan Rd, is in a fantastic position for restaurants, markets, street food and of course, shopping. The hotel is located very close to Jordan MTR station for further exploration of Hong Kong, giving your family great access to the city. Large rooms are to be found inside, which is a rarity for Hong Kong. This family friendly hotel in Hong Kong offers babysitting on request and video games for the kid’s enjoyment. 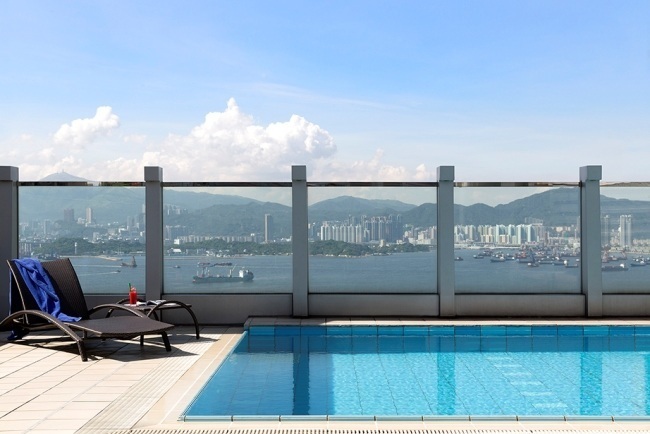 The Novotel Century offers family accommodation in Hong Kong positioned Hong Kong Island. The hotel is well located for the Star Ferry and nearby bars and restaurants. The hotel has small but functional rooms, with a child under 16 staying free. Family rooms are also available. This family friendly hotel in Hong Kong has both a gym and pool for your enjoyment, three restaurants and a 24-hour café. A babysitting service is also available for you to enjoy a night out. 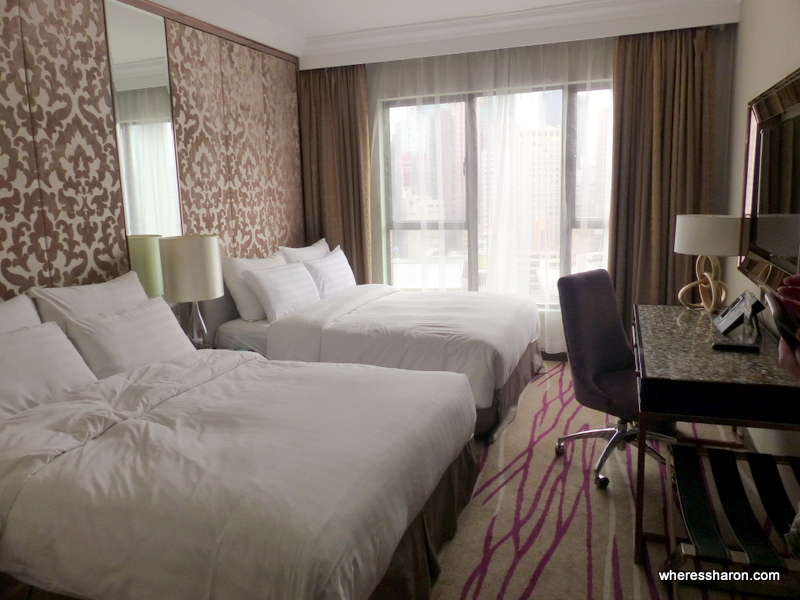 The Novotel Century Hong Kong offers comfortable rooms at a low cost. Located in Mongkok, Kowloon and walking distance to Nathan Rd, this hotel offers deluxe family rooms. Click here for more details. Located in Yaumatei, Kowloon close to Temple St night market, this hotel offers adjoining rooms at a fair price. Click here for more details. 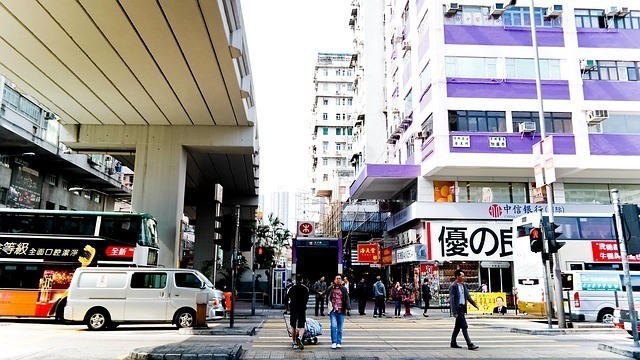 Located on Nathan Rd, this hotel offers standard rooms with the option of adding extra beds. Click here for more details. Centrally located in Tsim Sha Tsui, this hotel offers family rooms with bunk beds. Click here for more details. For families that need to be within close proximity to the airport, this hotel deluxe rooms with twin double beds. Click here for more details. If a hotel room is too expensive for you then an alternative for Hong Kong accommodation is an apartment. Apartments offer more space and facilities, such as a kitchen and washing machine and at a lower cost per night than at a hotel. We find that the best value is from AirBnB apartments. They have more options than other sites, too. If you do not have an AirBnB account, if you use this link to set one up we both get $20 off our next AirBnB stays. https://www.airbnb.com.au/rooms/5704313 – A 2BR apartment with two double or queen beds, located in Sheung Wan on Hong Kong Island. Very central location. https://www.airbnb.com.au/rooms/6238727 – A large 2BR apartment located in the Mong Kok area, one of the main shopping districts of the city. Can sleep up to eight people with sofa beds – if you need to. Really close to an MTR station. 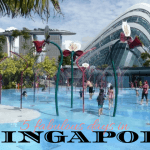 What is your pick for the best family hotel in Hong Kong? 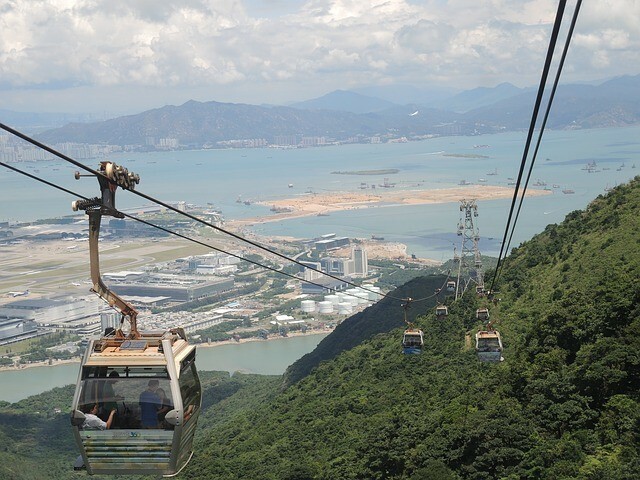 You can also read our top attractions in Hong Kong with kids here. 1. City Garden Hotel North Point – Large rooms (by hong kong standards) with very reasonable prices. Near the MTR with excellent eating options nearby. Cheap enough that you may like to book 2 rooms. 2. Kornhill Apartments – Good for longer stays, very spacious and located in a major local shopping area. 3. Metropark Mongkok – Not the most convenient location, but within walking distance of mongkok MTR. Good value for money with decent rooms. You may need to book 2 rooms if your children are older. Thanks for your suggestions Wai! Hello. As a first time travelers to Hong Kong (Mother & 9y/o), on a budget; What are your recommendations for accommodations? Hotel, AriBnB, or etc. by the MTV? Will visit 11/11/16 to 11/16/16. Great post. There are many hotels of varying qualities in HK so it’s always helpful to have a curated list. I have found The Charterhouse in Wan Chai to be both reasonable quality and quite affordable. There’s also the added benefit of some adjoining rooms on the lower floors having an internal door for easy access. I think, however, you may have gotten your cities mixed up. 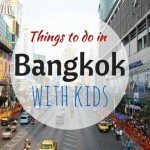 One of the sections is labelled “Other Family Friendly Hotels In Bangkok” when I am pretty sure that you are still talking about Hong Kong. 😮 Thanks for letting me know!! Amazing hotel! great blog thanks for sharing.